Though the term money laundering can conjure an image of a washing machine stuffed with green, the term actually has a more sinister meaning. 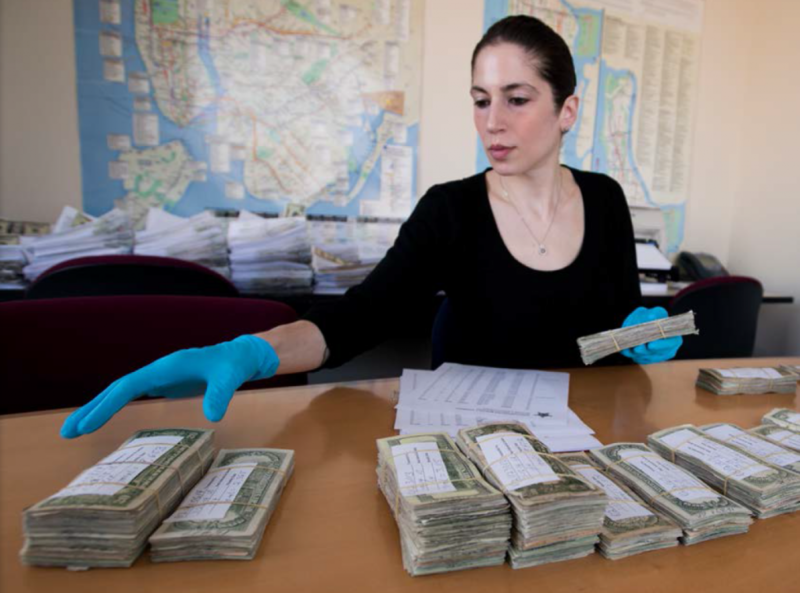 For money launderers, a dollar bill’s physical appearance plays no role – they are concerned with the cover up. Money laundering is the process of transforming sums of money from criminal activity into sums of money from legitimate activity. It allows profits from criminal activity, like drug trafficking, to appear to originate from a legitimate source. The dirty money is cleaned, hence the term “laundering”. In a world run by banking institutions and wire transfers, large sums of cash stuffed in mattresses are dangerous and suspicious. In order to avoid detection and operate securely, criminals need a way to use legitimate institutions to transfer and use their illegitimate profits. The term money laundering is actually an umbrella term that covers many methods of execution ranging from simple to complex, but most money launderers use the same basic system to accomplish their goal. The first step, placement, is when the illegally obtained money enters the financial system. This is the most dangerous step where launderers are most vulnerable to apprehension; some examples include depositing many smaller amounts in the bank to transfer later or blending the money into cash flow from a legitimate business. Banks have instituted a number of tools to detect this suspicious activity to stop the money at the source before it becomes hard to find. The second step, layering, is when launderers attempt to cover their trail to make it difficult for law enforcement to trace the illegal funds back to their original owner. Depending on the size and scale of the operation, the tactics for layering can differ; launderers can create “shell companies” that require very little personal information to set up or transfer money between countries or between commodities. The third and final step, integration, is when launderers actually use the money to buy legitimate investments. They can park their money in real estate, stocks, or any other investment, preferably one that can be sold quickly to free up cash. Without this process, money launderers would not be able to scale up their criminal activity in a meaningful way. The government is not blind to such activity and has instituted measures to attempt to stem the flow of criminally based funds. In 1970, Congress passed the Bank Secrecy Act, which requires banks to report cash transactions over $10,000, and, in 1986, Congress passed the Money Laundering Control Act, which made laundering money a federal crime. Banks have instituted anti money laundering (AML), a set of procedures, laws, and regulations used to stop criminals in the process of money laundering. They use due-diligence procedures to make sure they are not helping clients with illegal activity. Despite all these efforts, however, The United Nations Office on Drugs and Crime estimates that between 2 percent and 5 percent of the global gross domestic product, or about $800 billion, is laundered every year. The battle is ongoing, with a recent example being the indictment of Paul Manafort, President Trump’s former campaign chairman, in which he is accused of laundering more than $18 million. The green washing machine cleans on, and, as technology provides new ways for criminals to move funds, the fight against money laundering will only get more difficult.